So far in the series, we’ve provided a brief introduction to periodization and followed that up with the Repetition Maximum Continuum; what it is, how to use it, how to pick a rep range to train with based on whatever particular performance adaptation you are looking to achieve. Some of the concepts in the upcoming posts have been drawn from Joe Friel’s book “The Triathlete’s Training Bible,” a fantastic resource for anyone who lives and breathes endurance sports. This week we’ll dive into what the Preparatory Period looks like for a Triathlete and how to make the most of this crucial period of training. As we previously touched upon, the Preparatory period is typically the longest period of training and occurs when there are no scheduled competitive events. It occurs following a brief rest period (The nd Transition Period) immediately following the last event of the competitive season. Usually, we refer to the preparatory period as the “Off-Season” and, during this time, we want to focus on a couple of different aspects. (1) Identify and work to rectify postural issues that have crept in during the competitive season. All the running, biking, and swimming over the past year took a toll on your body, and the Preparatory Period is when we work to reverse all this damage. Endurance athletes will usually present with incredibly tight hip flexors, quads, calves, and hamstrings. This may result in misalignment of the lumbopelvic hip complex, an excessive anterior pelvic tilt (APT), decreased range of motion (ROM), and sub-optimal force production. On top of that, the sustained forward lean during running paired with countless hours in the saddle bent over the handlebars will almost certainly result in a shoulders-forward kyphotic posture. This kyphosis may not affect your performance during the bike and run leg, but it can certainly lead to injuries during swimming. 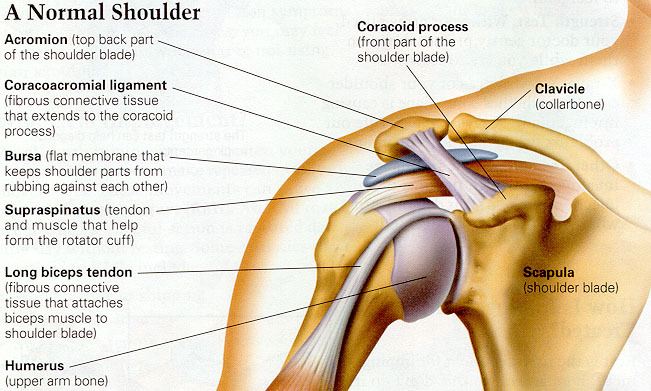 The misalignment of your shoulder girdle will result in poor gliding of the scapula on the scapulothoracic joint, which can cause the tendons, ligaments and other connective tissues to become frayed, irritated and, ultimately, inflamed. These postural issues are a result of using the same muscles, in the same abbreviated ranges of motion, to produce movement in a straight line for hours on end. As a result of a long, challenging season, the triathlete is extremely proficient at certain movement patterns (running, biking, swimming), but this comes at a cost; weak muscles in any movement plane or pattern not used during the season. Especially early on in the preparatory period, we want to take the time to train movements in the frontal and transverse planes. For example, the offseason would be a great time to work on our lateral lunging patterns, KB armbars (KB ARMBARS! ), and deadlifts. The lateral lunge is a frontal plane movement that will help train side-to-side stability at our knee and hip joints, while the armbar provides a challenge to scapular stability in the transverse plane, while also strengthening our rotator cuff for a more powerful stroke. Finally, although deadlifts are a sagittal plane movement, they will help us build up hamstring and glute strength that may have been lost during the competitive season. (2) Focus on developing strength and power in your prime movers (the big muscles, the money-makers, or the large muscle groups). We want to be sure we’re taking advantage of the decreased sport-practice time during the preparatory period by focusing on building a strength and power base in the muscle groups used in endurance sport. That means focusing on multi-joint, compound movements such as squats, deadlifts, pull-ups, pushups, and rowing variations. The endurance athlete who is diligent with their off-season weight training will acquire a body capable of withstanding and redistributing the massive forces placed upon it during the running gait, regain any lost mobility, as well as improve their maximal force production, which will lead to increased force production during sub-maximal exercise as well. Consequently, we now have a triathlete who is faster and more powerful with each stroke or stride, better equipped to ride the big ring up a steep hill, and compete at a high level during the season injury-free. (3) Develop/build dynamic core strength and stability. This is the optimal time to emphasize developing core strength. During dynamic movement, our core is designed to remain stable and help transfer power throughout our body. For example, swimmers with weak cores will never truly be able to optimize their technique. They lack the control and stability needed to synchronize their upper and lower extremities, and will experience power leaks all over the place. Neglecting your core strength is a sure fire way to negatively impacting your performance, and you’ll have to work twice as hard to travel the same distance. (4) Concentrate on improving joint stability, muscle coordination, and total body awareness. Another often under-appreciated benefit that can come from a proper strength training program is improvements in joint stability, muscle coordination, and total body awareness (or proprioception). We can use balance drills, hops, bounds, and stability-focused exercises during the preparatory period in an effort to improve both our performance and resiliency during the competitive season. These improvements will come in handy while riding in a pack during the bike leg, and not to mention the benefit of strong, stable ankles and knees during the run. Taking the time to develop these attributes can be the difference between crossing the finish injury-free, or limping from the stress fracture you received on foot strike #12,375 during your 13. mile run. I hope the last 800 words have solidified your belief in the need for strength training for the endurance athlete. These are only a small sample of the numerous benefits that result from being diligent in the weight room during your off-season, and they will surely carry over into success on the competitive stage. Next week we’ll get a little more specific and discuss how to apply periodization to the preparatory period, creating an off-season that is structured to elicit maximum gains in performance. We always want to move from general to specific when it comes to planning our training, and next week I’ll explain exactly what that will look like for the triathlete. Newer PostThe “Toes Up” Cue for Squatting and Hinging: Why I give it a thumbs down.